Unfortunately I sufferer rather badly from aches and pains in my neck, shoulders and back, and come winter the pain seems to get worse. 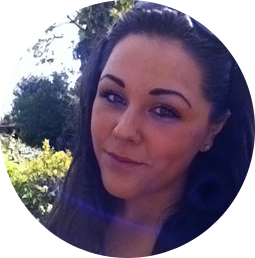 I've tried all manner of supplements with the hope they'll relieve my symptoms, but have always experienced varied levels of success. So far, the best thing for me has been a hot bath with a soothing bath bomb. 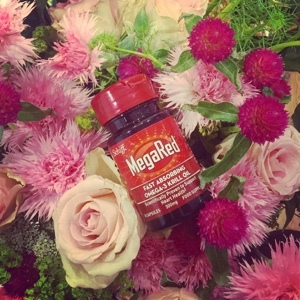 A few months back I was sent MegaRed Krill Oil by a well-meaning PR friend to try out. Krill oil, logically enough, comes from krill, the small shrimp like crustaceans whales eat. 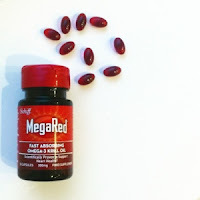 Having read up on the supplement before deciding to take it, I discovered krill oil contains omega-3 fats that are hooked together in a different form from fish oil, making them easier to absorb. Omega-3 has been proved to decrease symptoms of morning stiffness, tender or swollen joints, and joint pain - so far, so good! 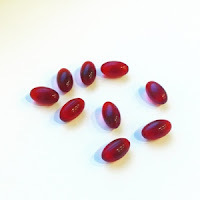 I also read that something called 'astaxanthin' found in krill oil provides protection against ultraviolet light and UV-induced skin damage - being the occasional sun-bedder, this was a great plus. After taking the tablets for a few months I've found I've had less flair ups than usual (even throughout a very hectic London Fashion Week schedule). Still unsure I gave some tablets to my sister's boyfriend who suffers with an old knee injury. He was sceptical about the supplement at first - he's not a lover of natural remedies after I once forced him to drink a super strength cinnamon smoothie that I promised 'was good for his blood' (needless to say him and my sister now hate cinnamon). But lo and behold, after a few week's he told me his knee had began feeling less stiff. And another plus - due to the rapid absorption of krill oil we haven't suffered with fishy burping and after taste sometimes experienced with cod-liver oil - result! Are there any downsides? Only one. It is a little more pricey than fish oil, but, as with all things, you get what you pay for.